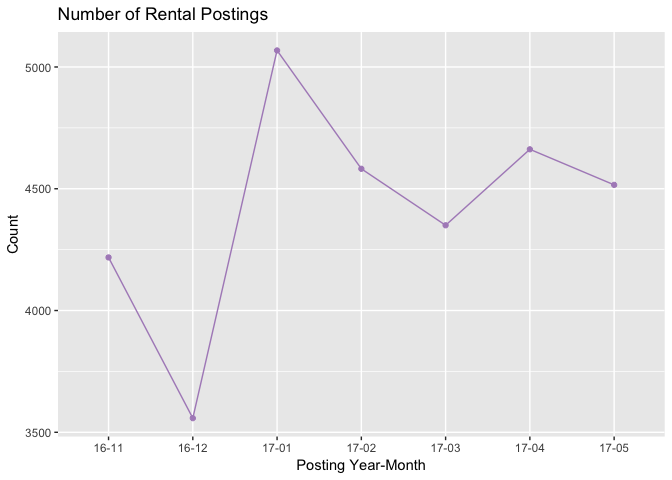 This is the third post analyzing rental postings in Vancouver. Here are links to the first and second posts. We expect some new measures aimed at cooling the housing market if the NDP and Greens sucessfully form government. Wouldn't it be great to see if anything is working? Ideally, we would look at housing sale prices but the released aggregates are clear as mud. Instead, let's use our rental data as a proxy. Since changes in buying sentiment shifts the rent vs. buy equation, we should be able to observe effects indirectly. To do this, we have to start recording data now to serve as a baseline. So, I'm going to start writing these rental reports on a monthly basis. Each report will summarize that month's data along with comparisons to the historical trend. Ready? Let's go. For the month of May, we saw rental volumes pulling back slightly (-3%) across the city. Decreasing volume was mainly driven by lower supply in Sunset and Marpole. 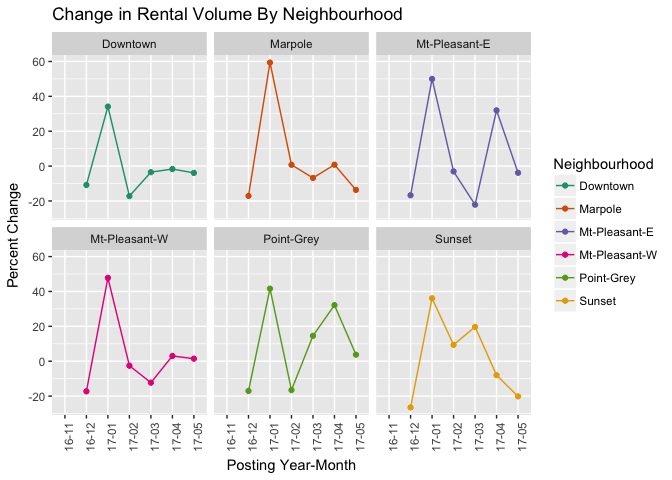 In the other 4 rent-dense areas (Downtown, Mount-Pleasant-E/W, and Point Grey) volumes have been stable MoM. 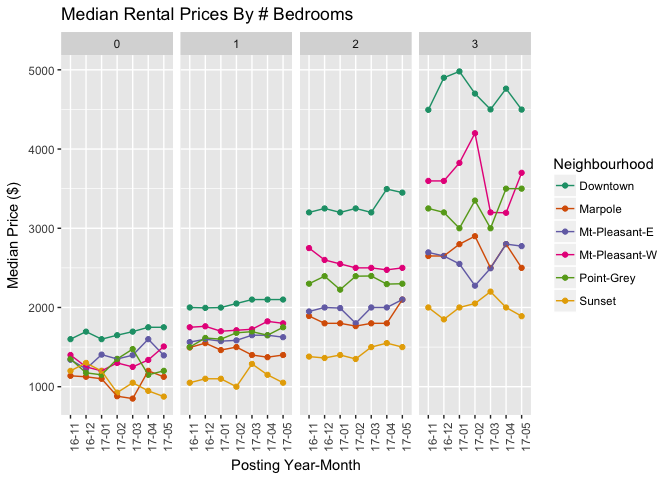 On the price front, the median cost of rentals have been stable for 1 ($1850) and 2 ($2500) bedrooms. However, prices for Studios (+3.22%) and 3 bedrooms (+1.78%) have risen slightly. 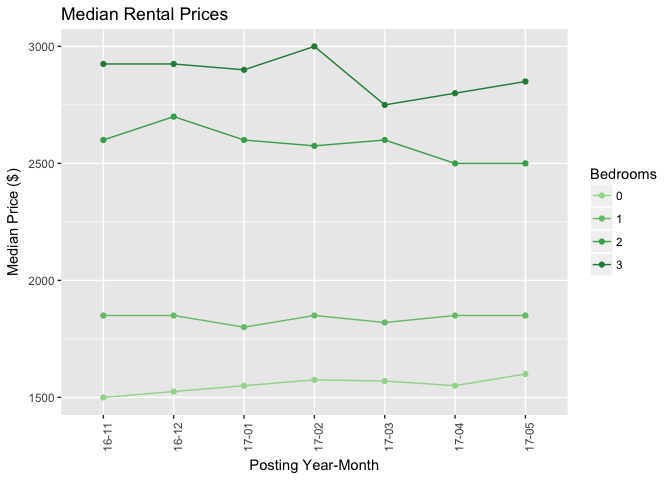 So, despite all the sales news, the rental situation in Vancouver has stayed mostly the same in the last few months. Is this the calm before the storm? Blog powered by Pelican, which takes great advantage of Python. Theme Pelican-Blue by @parbhat.